I haven't found much time to make substantial progress in the past couple of weeks on the Timekeeper's factory sculpture. But a little progress is better than none and it keeps the momentum going forward. I managed to design and route the timekeeper's scooter which will be parked in the front yard. Soon, I'll sculpt in the details in the bike. It will be fully painted before I permanently mount it to make things easier. 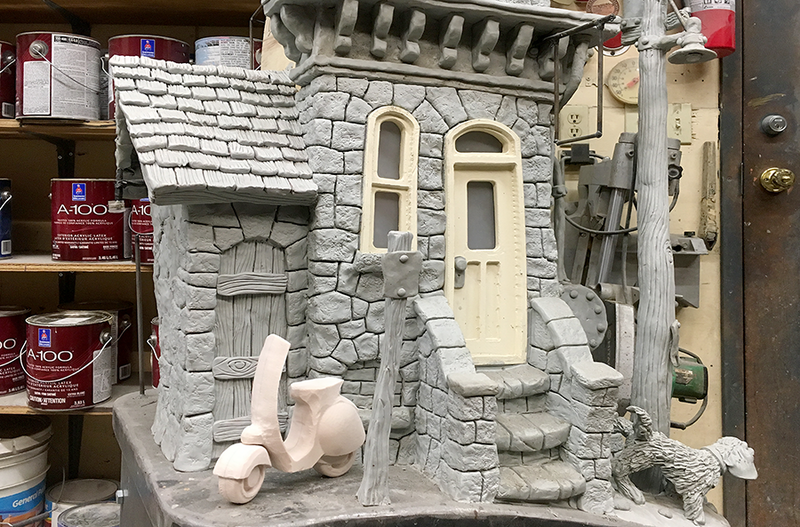 I will also do the last bit of sculpting on the ground under the scooter which will finish off the sculpting on the front of the first floor. It's time to work around the back on this level and then head up the structure.